Snow snow go away! Thankfully the two snowstorm warnings in NYC have not been a big deal and only had minor effects on the city. 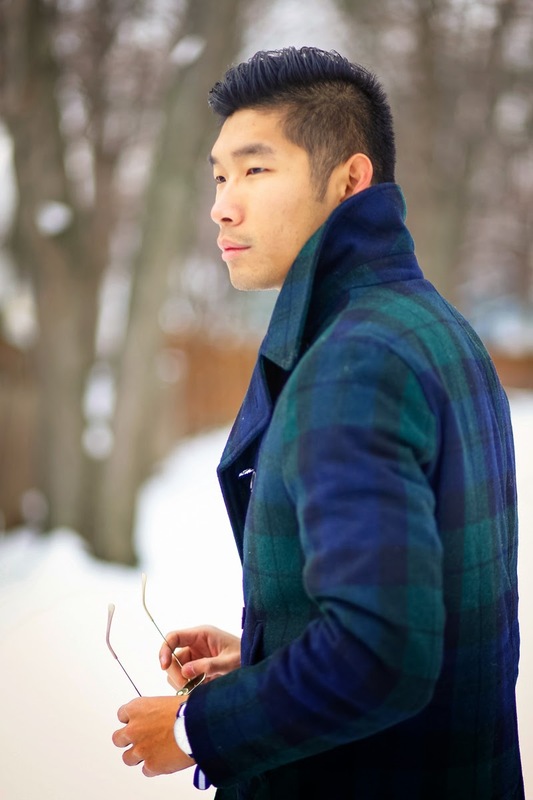 In the meantime I'm going to take advantage of this time to bust out all my warm coats and heavy layers for the season before we jet out of here for another warm vacation haha. 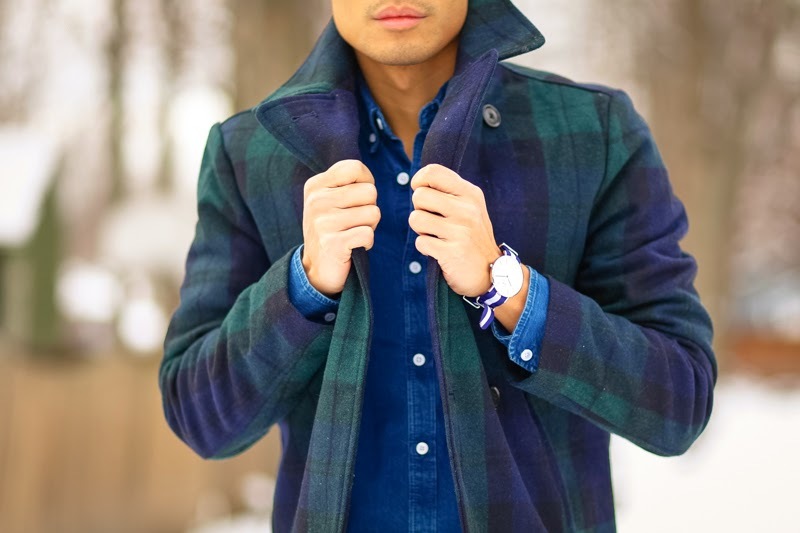 Tartan is one of my favorite pattern and its quite an underrated look. 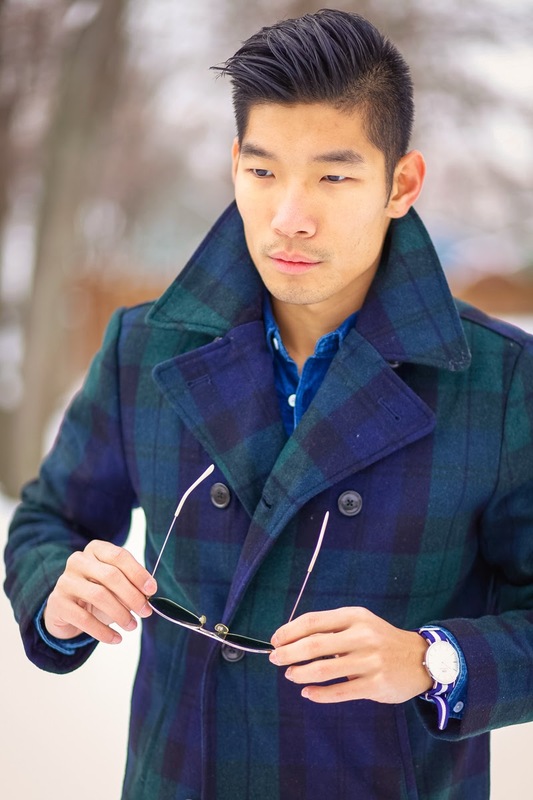 When I was looking for a new peacoat for the season, I wanted a strong pattern look since most of the outfit will be buried under. 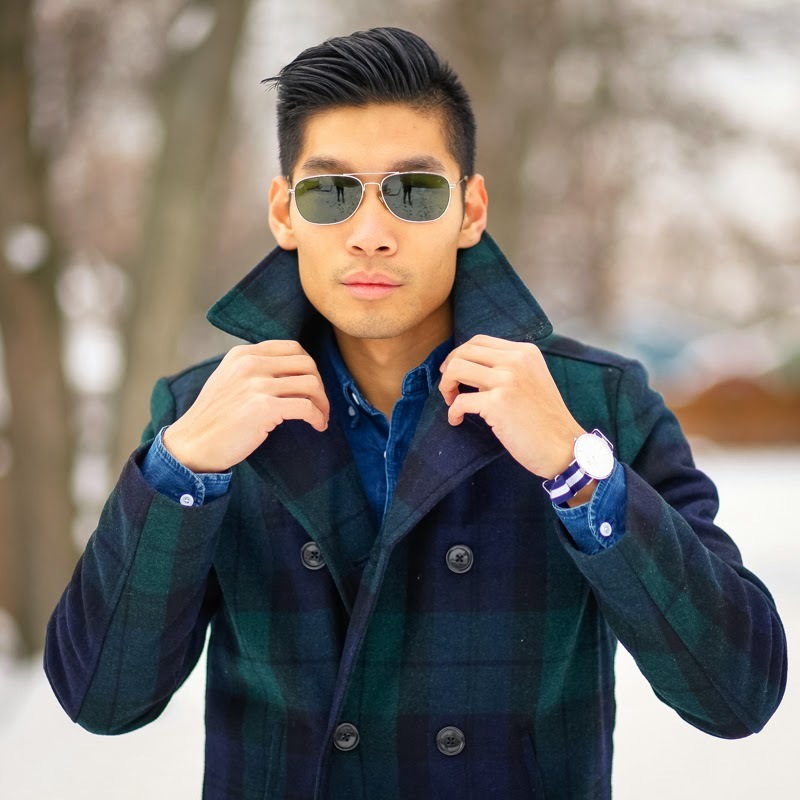 This Tartan peacoat by GAP really caught my attention with its subtle boldness since its working with two darker tone colors of navy and forest green. 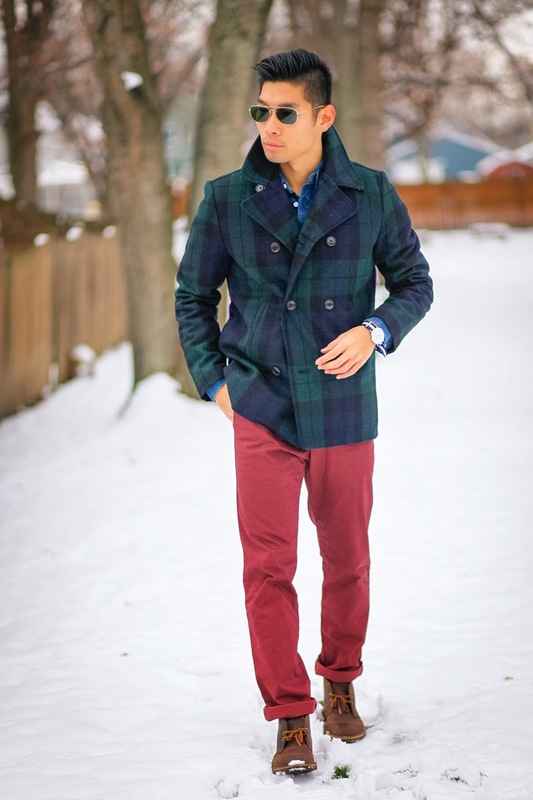 I paired the coat with some maroon khakis and Brooklyn Tailors denim shirt both also from GAP. We had another fun day of shooting in the snow...as you can see by the snowball in the last shot! 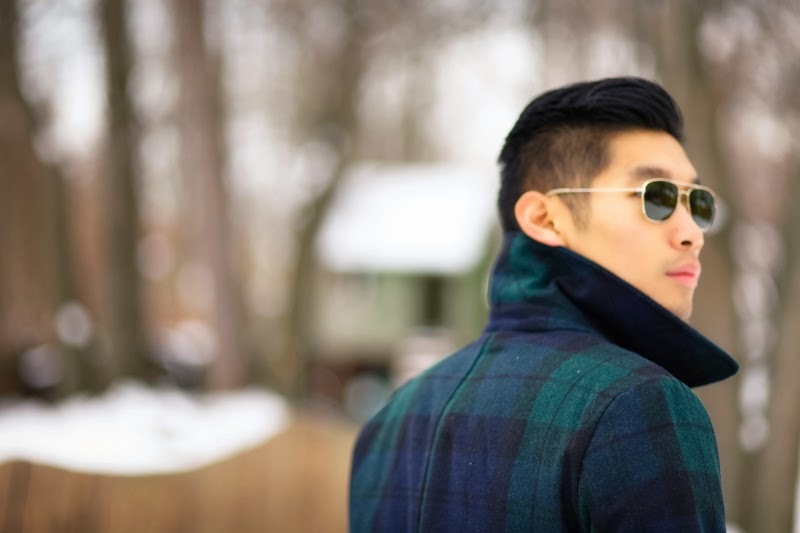 You can now easily Shop The Look with the widget we have built in below. I've added similar items/alternative options to the outfit. 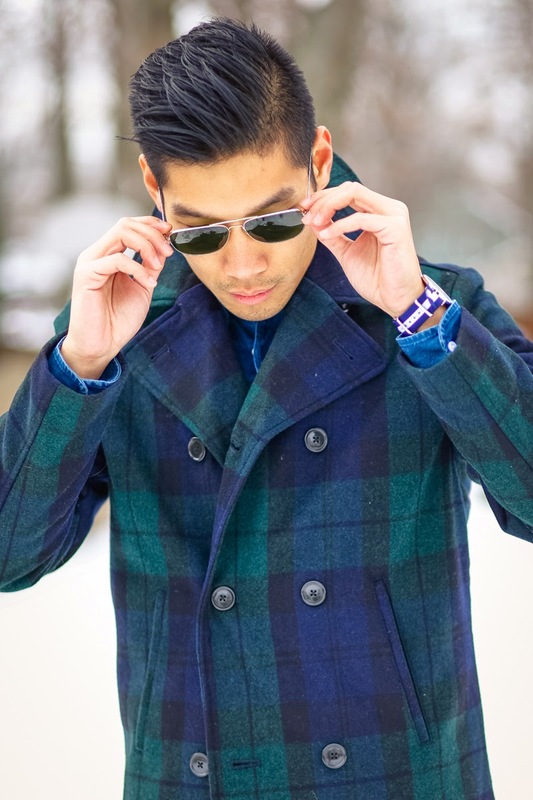 Love the green tartan pattern! Excellent colors, what photography, great pics! !